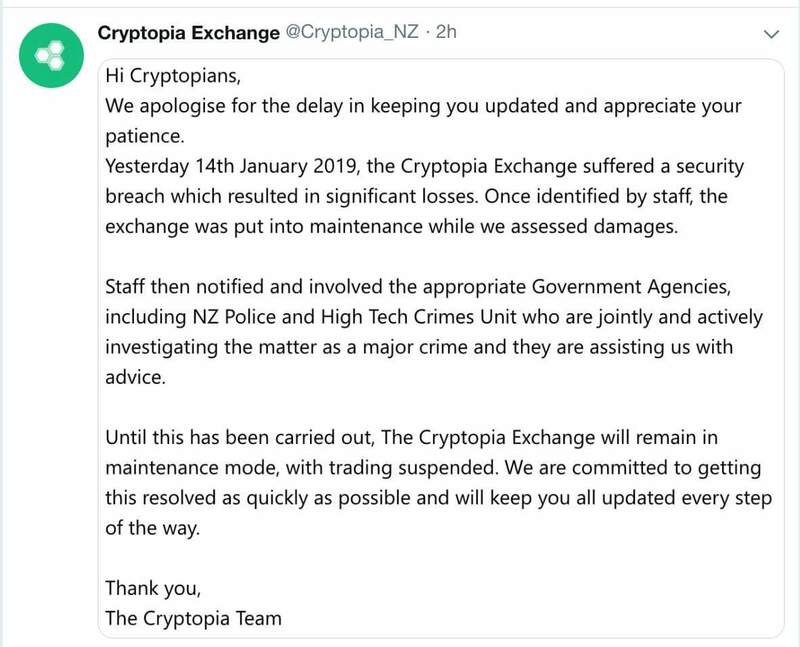 New Zealand biggest crypto exchange 'Cryptopia' has suspended its service after getting hit by major hack incident. The news of the hack came up on yesterday, where cryptopia have tweeted about the hack they suffered. On the tweet made on January 15, cryptopia said exchange has suffered a security breach which resulted in the significant losses. As cryptopia found the breach alert, they have suspended its works and put service into maintenance for addressing the issue. 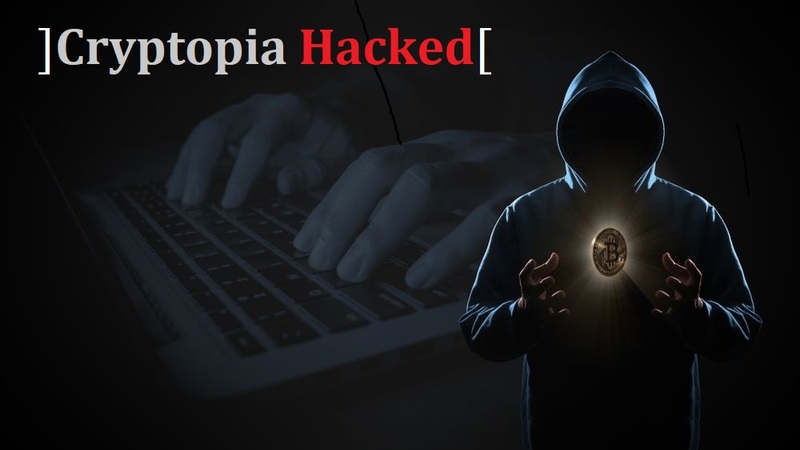 Cryptopia noted that they have notified government agencies and authorities, including the New Zealand Police and High Tech Crimes Unit, who have reportedly opened an investigation into the matter and are allegedly treating the incident as a major crime. Cryptopia - one of the popular and biggest crypto exchange, who haven't disclose its daily trade volume on CoinMarketCap. Cryptopia list over 800 crypto assets which trades in all types of crypto assets. A twitter account going with the handle @whale_alert have tweeted about the cryptopia's recent transactions, claiming the exchange had moved Ethereum (ETH) worth of several million dollars out of its wallet, day before the hack incident announcement. "Was that a Coincedence? or pre-planned scam?